Couldn’t find a picture of David with a banjo. 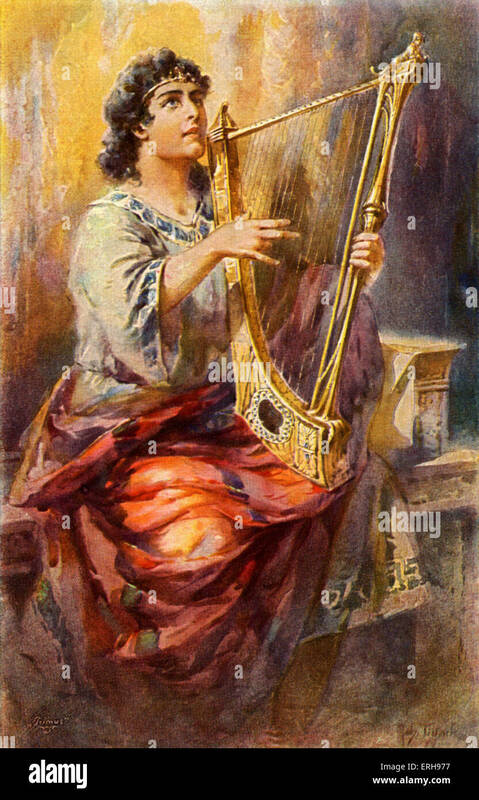 I wonder how some of those ancient musical instruments, from King David’s time, sounded. I wonder if any of them sounded like a banjo. Fact is, you can use any kind of musical instrument to give glory to God. Even a banjo. David remarked longingly to his men, “Oh, how I would love some of that good water from the well by the gate in Bethlehem.” So the Three broke through the Philistine lines, drew some water from the well by the gate in Bethlehem, and brought it back to David. But David refused to drink it. Instead, he poured it out as an offering to the Lord. “God forbid that I should drink this!” he exclaimed. “This water is as precious as the blood of these men who risked their lives to bring it to me.” So David did not drink it. These are examples of the exploits of the Three. 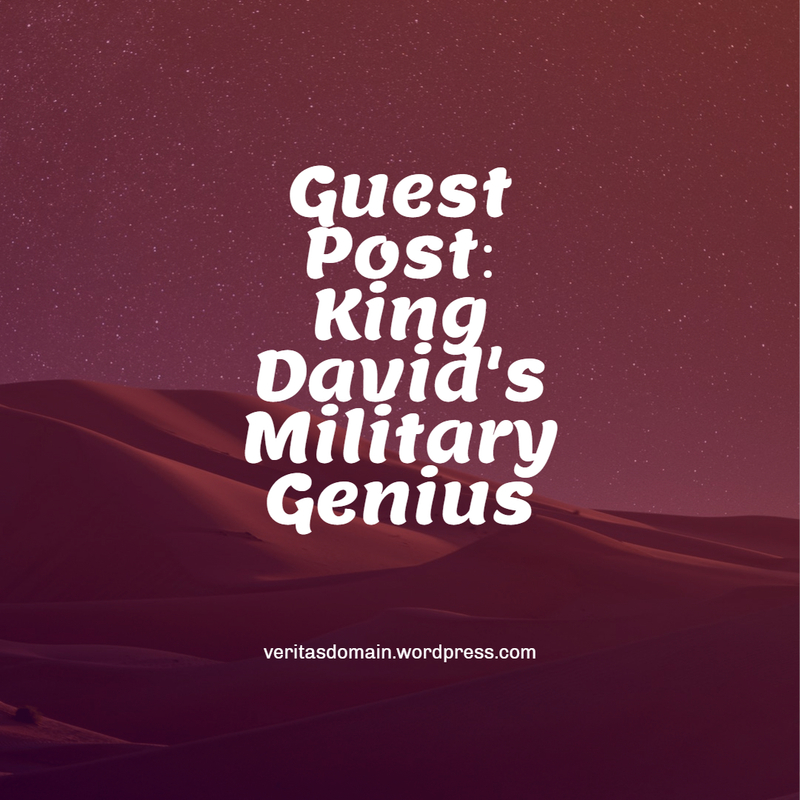 Some of you might enjoy this article I wrote for the Chalcedon magazine in 2005, on King David’s generalship. He really was quite good at it. It’s a little long, but so what? It’s Bible history. God understood that sooner or later His people, Israel, would want a king, like other nations. And so, through Moses, He explained what any future king of Israel should and should not do (Deuteronomy 17:14-20). Among these instructions, two stand out. The king is not to “multiply wives to himself” (v. 17), which might turn his heart away from God; and he is to keep a book beside his throne, and every day write in it the words of God’s law (v. 18-19). One of the details that convinces me that the Bible is a true historical record is the frequency with which the great men of ancient Israel totally fail to carry out God’s commandments–if they even try. You’d think it would be a simple matter for a king not to take on a whole passel of wives, and to write down a Bible verse or two every day. But no. King David’s platoon of wives gave him a whole company of sons, making it impossible for Solomon to succeed his father without shedding brotherly blood; and then Solomon collected a harem that put David’s to shame: and sure enough, this city block’s worth of pagan wives from all sorts of pagan nations turned the wise king’s heart to folly, and resulted in the breakup of the kingdom. The Bible makes no mention of any king of Israel or Judah ever jotting down a daily verse of Scripture. You’d think, if one of them ever once did it, someone would have thought it astounding enough to mention. One thing the Bible teaches us is our absolute and non-negotiable need for a savior. And the only Savior who will do is Jesus Christ. 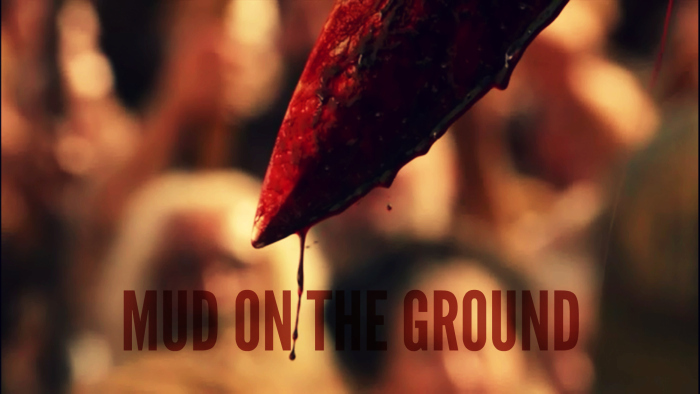 He alone, of all who ever walked in human flesh, kept God’s law perfectly. He alone satisfied its terms. David, the man after God’s own heart, couldn’t do it. Solomon, the wisest ruler ever, couldn’t do it. But God did, in the person of His son. And that’s how we’re saved. The steady, dreary rain today (and it rained all day yesterday, too) has got me feeling rather blah: but I got a lift from watching this pet lamb who literally bounces all around his owner’s house. Did you know the only pet actually mentioned in the Bible as a pet is the little lamb in Nathan’s parable to David, 2 Samuel 12:1-4? For a moment David didn’t realize it was a parable: he got quite steamed up, and was all set to execute the greedy rich man who ate his poor neighbor’s pet lamb. The lesson hit home when Nathan said, “Thou art the man”–but it goes to show that God understands and values our connection to our pets. After all, it was His idea that we should have them. God’s stuff: always good for us, always works. I had occasion yesterday to consult “Biblical scholars.” But as usual, I found their company to be annoying–because most of them seem not to believe hardly a single word the Bible says. They (most of them) would have us believe that virtually the whole Old Testament is fiction, cooked up by Jewish priests looking to wile away the years of captivity in Babylon by spinning tall tales. I like to think that I know something about writing fiction. I’ve been doing it for almost all my life. And reading a lot of it, too. Not to mention history produced by Greeks and Romans, Britons, Scandinavian peoples, and others. The great medieval Icelandic historian, Snorri Sturlusson, said he trusted his sources–royal poets, most of them–because, had they praised the kings who employed them with stories and boasts that people knew were not true, they would only win for their kings mockery, not praise. I take that to be always true. People have always laughed at empty boasts. So not only would those fictioneering Jewish priests have exposed themselves to ridicule–but why would they take their two greatest kings, David and Solomon, and describe how those kings fell into sin and folly, and brought evil on their country? No Roman historian–and Roman historians, like Livy, are always, always accused to making their subjects look much better than they were–would have dreamed of writing such a thing. The practice of tearing down the great and famous men of the past never came into general use until late in the 19th century. There could have been no reason whatsoever for Biblical chroniclers to show Solomon, wise King Solomon, indulging in foolish behavior that ruined his kingdom. They would not have written that unless it were true and everyone knew it to be true. Ditto David and some of his more egregious mis-steps. This, of course, is a vast subject and I have only scraped its surface here. But if scholars are going to accuse the Bible writers of spinning yarns, they would do well to acquire some slight understanding of fiction. By reader request: This is Psalm 51, set to modern music and performed by Keith Green. David wrote this after God punished his adultery with Bathsheba. That was very serious business. Bad enough that David took a man’s wife. But he also used his power as king to get the man, Uriah the Hittite, killed in battle. So in addition to adultery, David was guilty of murder and treason. I use the word “treason” in its original sense, meaning a personal betrayal. Clean in me a clean heart, O God, and a right spirit. Who doesn’t need to pray that prayer? This is a pagan hymn from about 1400 B.C., produced by an ancient Near Eastern people we call Hurrians. The music score is in cuneiform, preserved on a clay tablet. The instrument on which it is played, here, is a reproduction of a lyre, as reconstructed by archaeologists. If the translation of the tablet is accurate, then we are listening to a piece of music from 3,400 years ago. Was this similar to the music Saul heard, when David played for him? When David first composed the Psalms, did he set them to music that sounded like this? It’s possible that what we have here is a true window into the remote past, and a live connection with a portion of the Bible. It may be as close as we can ever come to actually hearing the Psalms as David sang them. Which is really, really something, when you think about it.